Sunroof, Heated Seats, CD Player, iPod/MP3 Input, Remote Engine Start, Onboard Communications System, SMARTPHONE INTEGRATION. CLA 250 trim, Polar White exterior and Black MB-Tex interior. FUEL EFFICIENT 32 MPG Hwy/24 MPG City! READ MORE! KEY FEATURES INCLUDE Full-Time 4MATIC All-Wheel Drive, Back-Up Camera, Turbocharged, Flex Fuel, iPod/MP3 Input, CD Player, Onboard Communications System, Remote Engine Start, Dual Zone A/C. MP3 Player, Steering Wheel Controls, Child Safety Locks, Electronic Stability Control, Heated Mirrors. OPTION PACKAGES PREMIUM PACKAGE KEYLESS-GO, Blind Spot Assist, Heated Front Seats, SiriusXM Satellite Radio, HANDS-FREE ACCESS, PANORAMA SUNROOF, WHEELS: 18 5-SPOKE ALLOY Tires: P225/40R18, CONVENIENCE PACKAGE Garage Door Opener, Auto-Dimming Rearview & Driver-Side Mirrors, SMARTPHONE INTEGRATION Android Auto, Apple CarPlay, Smartphone Integration (14U). Mercedes-Benz CLA 250 with Polar White exterior and Black MB-Tex interior features a 4 Cylinder Engine with 208 HP at 5500 RPM*. EXPERTS RAVE Great Gas Mileage: 32 MPG Hwy. BUY FROM AN AWARD WINNING DEALER Mercedes-Benz of Omaha is a full service Mercedes-Benz dealership. We're part of the Baxter Auto Group, composed of 21 dealerships in Omaha and Lincoln, and Kansas City, Kan. Located off of 144th and L streets in Omaha, Neb. our showroom features the complete lineup of new Mercedes-Benz models and a selection of used and pre-owned vehicles. Call (844) 308-7331. Horsepower calculations based on trim engine configuration. Fuel economy calculations based on original manufacturer data for trim engine configuration. Please confirm the accuracy of the included equipment by calling us prior to purchase. Sunroof, Heated Seats, Onboard Communications System, CD Player, Dual Zone A/C, Remote Engine Start, iPod/MP3 Input, PANORAMA SUNROOF. Jupiter Red exterior and Black MB-Tex interior, CLA 250 trim. EPA 32 MPG Hwy/24 MPG City! READ MORE! KEY FEATURES INCLUDE Full-Time 4MATIC All-Wheel Drive, Back-Up Camera, Turbocharged, iPod/MP3 Input, CD Player, Onboard Communications System, Remote Engine Start, Dual Zone A/C MP3 Player, Child Safety Locks, Steering Wheel Controls, Heated Mirrors, Electronic Stability Control. OPTION PACKAGES PREMIUM PACKAGE KEYLESS-GO, Blind Spot Assist, Heated Front Seats, SiriusXM Satellite Radio, HANDS-FREE ACCESS, PANORAMA SUNROOF, WHEELS: 18 5-SPOKE ALLOY Tires: P225/40R18, CONVENIENCE PACKAGE Garage Door Opener, Auto-Dimming Rearview & Driver-Side Mirrors, SMARTPHONE INTEGRATION Android Auto, Apple CarPlay, Smartphone Integration (14U), REAR SPOILER. Mercedes-Benz CLA 250 with Jupiter Red exterior and Black MB-Tex interior features a 4 Cylinder Engine with 208 HP at 5500 RPM*. EXPERTS CONCLUDE Great Gas Mileage: 32 MPG Hwy. MORE ABOUT US Mercedes-Benz of Omaha is a full service Mercedes-Benz dealership. We're part of the Baxter Auto Group, composed of 21 dealerships in Omaha and Lincoln, and Kansas City, Kan. Located off of 144th and L streets in Omaha, Neb. our showroom features the complete lineup of new Mercedes-Benz models and a selection of used and pre-owned vehicles. Call (844) 308-7331. Horsepower calculations based on trim engine configuration. Fuel economy calculations based on original manufacturer data for trim engine configuration. Please confirm the accuracy of the included equipment by calling us prior to purchase. Heated Seats, Sunroof, CD Player, iPod/MP3 Input, Remote Engine Start, Onboard Communications System, Flex Fuel, REAR SPOILER. CLA 250 trim, Night Black exterior and Black MB-Tex interior. FUEL EFFICIENT 32 MPG Hwy/24 MPG City! CLICK NOW! KEY FEATURES INCLUDE Full-Time 4MATIC All-Wheel Drive, Back-Up Camera, Turbocharged, Flex Fuel, iPod/MP3 Input, CD Player, Onboard Communications System, Remote Engine Start, Dual Zone A/C MP3 Player, Child Safety Locks, Steering Wheel Controls, Electronic Stability Control, Heated Mirrors. OPTION PACKAGES PREMIUM PACKAGE KEYLESS-GO, Blind Spot Assist, Heated Front Seats, SiriusXM Satellite Radio, HANDS-FREE ACCESS, PANORAMA SUNROOF, WHEELS: 18 5-SPOKE ALLOY Tires: P225/40R18, CONVENIENCE PACKAGE Garage Door Opener, Auto-Dimming Rearview & Driver-Side Mirrors, SMARTPHONE INTEGRATION Android Auto, Apple CarPlay, Smartphone Integration (14U), REAR SPOILER. Mercedes-Benz CLA 250 with Night Black exterior and Black MB-Tex interior features a 4 Cylinder Engine with 208 HP at 5500 RPM*. EXPERTS REPORT Great Gas Mileage: 32 MPG Hwy. BUY FROM AN AWARD WINNING DEALER Mercedes-Benz of Omaha is a full service Mercedes-Benz dealership. We're part of the Baxter Auto Group, composed of 21 dealerships in Omaha and Lincoln, and Kansas City, Kan. Located off of 144th and L streets in Omaha, Neb. our showroom features the complete lineup of new Mercedes-Benz models and a selection of used and pre-owned vehicles. Call (844) 308-7331. Horsepower calculations based on trim engine configuration. Fuel economy calculations based on original manufacturer data for trim engine configuration. Please confirm the accuracy of the included equipment by calling us prior to purchase. Moonroof, Heated Seats, Onboard Communications System, CD Player, Dual Zone A/C, Remote Engine Start, iPod/MP3 Input, REAR SPOILER. Jupiter Red exterior and Sahara Beige MB-Tex interior, CLA 250 trim. EPA 32 MPG Hwy/24 MPG City! SEE MORE! KEY FEATURES INCLUDE Full-Time 4MATIC All-Wheel Drive, Back-Up Camera, Turbocharged, iPod/MP3 Input, CD Player, Onboard Communications System, Remote Engine Start, Dual Zone A/C. MP3 Player, Child Safety Locks, Steering Wheel Controls, Heated Mirrors, Electronic Stability Control. OPTION PACKAGES PREMIUM PACKAGE KEYLESS-GO, Blind Spot Assist, Heated Front Seats, SiriusXM Satellite Radio, HANDS-FREE ACCESS, PANORAMA SUNROOF, WHEELS: 18 5-SPOKE ALLOY Tires: P225/40R18, CONVENIENCE PACKAGE Garage Door Opener, Auto-Dimming Rearview & Driver-Side Mirrors, SMARTPHONE INTEGRATION Android Auto, Apple CarPlay, Smartphone Integration (14U), REAR SPOILER. Mercedes-Benz CLA 250 with Jupiter Red exterior and Sahara Beige MB-Tex interior features a 4 Cylinder Engine with 208 HP at 5500 RPM*. EXPERTS CONCLUDE Great Gas Mileage: 32 MPG Hwy. BUY FROM AN AWARD WINNING DEALER Mercedes-Benz of Omaha is a full service Mercedes-Benz dealership. We're part of the Baxter Auto Group, composed of 21 dealerships in Omaha and Lincoln, and Kansas City, Kan. Located off of 144th and L streets in Omaha, Neb. our showroom features the complete lineup of new Mercedes-Benz models and a selection of used and pre-owned vehicles. Call (844) 308-7331. Horsepower calculations based on trim engine configuration. Fuel economy calculations based on original manufacturer data for trim engine configuration. Please confirm the accuracy of the included equipment by calling us prior to purchase. Sunroof, Heated Seats, Onboard Communications System, CD Player, Dual Zone A/C, Remote Engine Start, iPod/MP3 Input. CLA 250 trim, Polar White exterior and Black MB-Tex interior. FUEL EFFICIENT 32 MPG Hwy/24 MPG City! CLICK ME! KEY FEATURES INCLUDE Full-Time 4MATIC All-Wheel Drive, Back-Up Camera, Turbocharged, iPod/MP3 Input, CD Player, Onboard Communications System, Remote Engine Start, Dual Zone A/C. MP3 Player, Child Safety Locks, Steering Wheel Controls, Heated Mirrors, Electronic Stability Control. OPTION PACKAGES PREMIUM PACKAGE KEYLESS-GO, Blind Spot Assist, Heated Front Seats, SiriusXM Satellite Radio, HANDS-FREE ACCESS, PANORAMA SUNROOF, WHEELS: 18 5-SPOKE ALLOY Tires: P225/40R18, CONVENIENCE PACKAGE Garage Door Opener, Auto-Dimming Rearview & Driver-Side Mirrors, SMARTPHONE INTEGRATION Android Auto, Apple CarPlay, Smartphone Integration (14U), REAR SPOILER. Mercedes-Benz CLA 250 with Polar White exterior and Black MB-Tex interior features a 4 Cylinder Engine with 208 HP at 5500 RPM*. EXPERTS ARE SAYING Great Gas Mileage: 32 MPG Hwy. VISIT US TODAY Mercedes-Benz of Omaha is a full service Mercedes-Benz dealership. We're part of the Baxter Auto Group, composed of 21 dealerships in Omaha and Lincoln, and Kansas City, Kan. Located off of 144th and L streets in Omaha, Neb. our showroom features the complete lineup of new Mercedes-Benz models and a selection of used and pre-owned vehicles. Call (844) 308-7331. Horsepower calculations based on trim engine configuration. Fuel economy calculations based on original manufacturer data for trim engine configuration. Please confirm the accuracy of the included equipment by calling us prior to purchase. Heated Seats, Sunroof, Flex Fuel, Back-Up Camera, iPod/MP3 Input, Dual Zone A/C, Remote Engine Start, LED HEADLAMPS, Turbo. CLA 250 trim, Jupiter Red exterior and Black MB-Tex interior. FUEL EFFICIENT 32 MPG Hwy/24 MPG City! SEE MORE! KEY FEATURES INCLUDE Full-Time 4MATIC All-Wheel Drive, Back-Up Camera, Turbocharged, Flex Fuel, iPod/MP3 Input, Onboard Communications System, Remote Engine Start, Dual Zone A/C MP3 Player, Child Safety Locks, Steering Wheel Controls, Electronic Stability Control, Heated Mirrors. OPTION PACKAGES PREMIUM PACKAGE KEYLESS-GO, Blind Spot Assist, Heated Front Seats, SiriusXM Satellite Radio, HANDS-FREE ACCESS, PANORAMA SUNROOF, LED HEADLAMPS, harman/kardon PREMIUM SOUND SYSTEM, WHEELS: 18 5-SPOKE MULTI-SPOKE Tires: P225/40R18, CONVENIENCE PACKAGE Garage Door Opener, Auto-Dimming Rearview & Driver-Side Mirrors, SMARTPHONE INTEGRATION Android Auto, Apple CarPlay, Smartphone Integration (14U), MATTE BLACK ASH WOOD TRIM, REAR SPOILER. Mercedes-Benz CLA 250 with Jupiter Red exterior and Black MB-Tex interior features a 4 Cylinder Engine with 208 HP at 5500 RPM*. EXPERTS ARE SAYING Great Gas Mileage: 32 MPG Hwy. WHO WE ARE Mercedes-Benz of Omaha is a full service Mercedes-Benz dealership. We're part of the Baxter Auto Group, composed of 21 dealerships in Omaha and Lincoln, and Kansas City, Kan. Located off of 144th and L streets in Omaha, Neb. our showroom features the complete lineup of new Mercedes-Benz models and a selection of used and pre-owned vehicles. Call (844) 308-7331. Horsepower calculations based on trim engine configuration. Fuel economy calculations based on original manufacturer data for trim engine configuration. Please confirm the accuracy of the included equipment by calling us prior to purchase. Moonroof, Heated Seats, Flex Fuel, iPod/MP3 Input, Dual Zone A/C, Remote Engine Start, Onboard Communications System. FUEL EFFICIENT 32 MPG Hwy/24 MPG City! CLA 250 trim, Mountain Grey Metallic exterior and Black MB-Tex interior SEE MORE! KEY FEATURES INCLUDE Full-Time 4MATIC All-Wheel Drive, Back-Up Camera, Turbocharged, Flex Fuel, iPod/MP3 Input, Onboard Communications System, Remote Engine Start, Dual Zone A/C. MP3 Player, Child Safety Locks, Steering Wheel Controls, Heated Mirrors, Electronic Stability Control. OPTION PACKAGES PREMIUM PACKAGE KEYLESS-GO, Blind Spot Assist, Heated Front Seats, SiriusXM Satellite Radio, HANDS-FREE ACCESS, PANORAMA SUNROOF, harman/kardon PREMIUM SOUND SYSTEM, LED HEADLAMPS, WHEELS: 18 5-SPOKE MULTI-SPOKE Tires: P225/40R18, CONVENIENCE PACKAGE Garage Door Opener, Auto-Dimming Rearview & Driver-Side Mirrors, SMARTPHONE INTEGRATION Android Auto, Apple CarPlay, Smartphone Integration (14U), MATTE BLACK ASH WOOD TRIM. Mercedes-Benz CLA 250 with Mountain Grey Metallic exterior and Black MB-Tex interior features a 4 Cylinder Engine with 208 HP at 5500 RPM*. EXPERTS ARE SAYING Great Gas Mileage: 32 MPG Hwy. WHY BUY FROM US Mercedes-Benz of Omaha is a full service Mercedes-Benz dealership. We're part of the Baxter Auto Group, composed of 21 dealerships in Omaha and Lincoln, and Kansas City, Kan. Located off of 144th and L streets in Omaha, Neb. our showroom features the complete lineup of new Mercedes-Benz models and a selection of used and pre-owned vehicles. Call (844) 308-7331. Horsepower calculations based on trim engine configuration. Fuel economy calculations based on original manufacturer data for trim engine configuration. Please confirm the accuracy of the included equipment by calling us prior to purchase. Moonroof, Heated Seats, Back-Up Camera, Flex Fuel, iPod/MP3 Input, Dual Zone A/C, Remote Engine Start, LED HEADLAMPS. Mountain Grey Metallic exterior and Crystal Grey MB-Tex interior, CLA 250 trim. EPA 32 MPG Hwy/24 MPG City! SEE MORE! KEY FEATURES INCLUDE Full-Time 4MATIC All-Wheel Drive, Back-Up Camera, Turbocharged, Flex Fuel, iPod/MP3 Input, Onboard Communications System, Remote Engine Start, Dual Zone A/C. MP3 Player, Child Safety Locks, Steering Wheel Controls, Electronic Stability Control, Heated Mirrors. OPTION PACKAGES PREMIUM PACKAGE KEYLESS-GO, Blind Spot Assist, Heated Front Seats, SiriusXM Satellite Radio, HANDS-FREE ACCESS, PANORAMA SUNROOF, LED HEADLAMPS, harman/kardon PREMIUM SOUND SYSTEM, WHEELS: 18 5-SPOKE MULTI-SPOKE Tires: P225/40R18, CONVENIENCE PACKAGE Garage Door Opener, Auto-Dimming Rearview & Driver-Side Mirrors, SMARTPHONE INTEGRATION Android Auto, Apple CarPlay, Smartphone Integration (14U), MATTE BLACK ASH WOOD TRIM, REAR SPOILER. Mercedes-Benz CLA 250 with Mountain Grey Metallic exterior and Crystal Grey MB-Tex interior features a 4 Cylinder Engine with 208 HP at 5500 RPM*. EXPERTS ARE SAYING Great Gas Mileage: 32 MPG Hwy. VISIT US TODAY Mercedes-Benz of Omaha is a full service Mercedes-Benz dealership. We're part of the Baxter Auto Group, composed of 21 dealerships in Omaha and Lincoln, and Kansas City, Kan. Located off of 144th and L streets in Omaha, Neb. our showroom features the complete lineup of new Mercedes-Benz models and a selection of used and pre-owned vehicles. Call (844) 308-7331. Horsepower calculations based on trim engine configuration. Fuel economy calculations based on original manufacturer data for trim engine configuration. Please confirm the accuracy of the included equipment by calling us prior to purchase. Moonroof, Heated Seats, Flex Fuel, Back-Up Camera, iPod/MP3 Input, Onboard Communications System, Remote Engine Start, LED HEADLAMPS, CONVENIENCE PACKAGE. CLA 250 trim, Polar White exterior and Black MB-Tex interior. CLICK ME! KEY FEATURES INCLUDE Full-Time 4MATIC All-Wheel Drive, Back-Up Camera, Turbocharged, Flex Fuel, iPod/MP3 Input, Onboard Communications System, Chrome Wheels, Remote Engine Start, Dual Zone A/C MP3 Player, Child Safety Locks, Steering Wheel Controls, Electronic Stability Control, Heated Mirrors. OPTION PACKAGES PREMIUM PACKAGE KEYLESS-GO, Blind Spot Assist, Heated Front Seats, SiriusXM Satellite Radio, HANDS-FREE ACCESS, PANORAMA SUNROOF, harman/kardon PREMIUM SOUND SYSTEM, LED HEADLAMPS, CONVENIENCE PACKAGE Garage Door Opener, Auto-Dimming Rearview & Driver-Side Mirrors, SMARTPHONE INTEGRATION Android Auto, Apple CarPlay, Smartphone Integration (14U). Mercedes-Benz CLA 250 with Polar White exterior and Black MB-Tex interior features a 4 Cylinder Engine with 208 HP at 5500 RPM*. EXPERTS ARE SAYING Great Gas Mileage: 32 MPG Hwy. VISIT US TODAY Mercedes-Benz of Omaha is a full service Mercedes-Benz dealership. We're part of the Baxter Auto Group, composed of 21 dealerships in Omaha and Lincoln, and Kansas City, Kan. Located off of 144th and L streets in Omaha, Neb. our showroom features the complete lineup of new Mercedes-Benz models and a selection of used and pre-owned vehicles. Call (844) 308-7331. Horsepower calculations based on trim engine configuration. Fuel economy calculations based on original manufacturer data for trim engine configuration. Please confirm the accuracy of the included equipment by calling us prior to purchase. Sunroof, Heated Seats, Flex Fuel, Back-Up Camera, iPod/MP3 Input, Onboard Communications System, Remote Engine Start, Turbo Charged. Cosmos Black exterior and Sahara Beige MB-Tex interior, CLA 250 trim. EPA 32 MPG Hwy/24 MPG City! READ MORE! KEY FEATURES INCLUDE Full-Time 4MATIC All-Wheel Drive, Back-Up Camera, Turbocharged, Flex Fuel, iPod/MP3 Input, Onboard Communications System, Chrome Wheels, Remote Engine Start, Dual Zone A/C MP3 Player, Steering Wheel Controls, Child Safety Locks, Electronic Stability Control, Heated Mirrors. OPTION PACKAGES PREMIUM PACKAGE KEYLESS-GO, Blind Spot Assist, Heated Front Seats, SiriusXM Satellite Radio, HANDS-FREE ACCESS, PANORAMA SUNROOF, harman/kardon PREMIUM SOUND SYSTEM, LED HEADLAMPS, CONVENIENCE PACKAGE Garage Door Opener, Auto-Dimming Rearview & Driver-Side Mirrors, SMARTPHONE INTEGRATION Android Auto, Apple CarPlay, Smartphone Integration (14U), MATTE BLACK ASH WOOD TRIM. Mercedes-Benz CLA 250 with Cosmos Black exterior and Sahara Beige MB-Tex interior features a 4 Cylinder Engine with 208 HP at 5500 RPM*. EXPERTS ARE SAYING Great Gas Mileage: 32 MPG Hwy. WHY BUY FROM US Mercedes-Benz of Omaha is a full service Mercedes-Benz dealership. We're part of the Baxter Auto Group, composed of 21 dealerships in Omaha and Lincoln, and Kansas City, Kan. Located off of 144th and L streets in Omaha, Neb. our showroom features the complete lineup of new Mercedes-Benz models and a selection of used and pre-owned vehicles. Call (844) 308-7331. Horsepower calculations based on trim engine configuration. Fuel economy calculations based on original manufacturer data for trim engine configuration. Please confirm the accuracy of the included equipment by calling us prior to purchase. Moonroof, Heated Seats, Onboard Communications System, Remote Engine Start, Dual Zone A/C, iPod/MP3 Input. FUEL EFFICIENT 31 MPG Hwy/22 MPG City! Lunar Blue Metallic exterior and Silk Beige MB-Tex interior, C 300 trim. CLICK ME! KEY FEATURES INCLUDE Sunroof, Panoramic Roof, Full-Time 4MATIC All-Wheel Drive, Back-Up Camera, Turbocharged, iPod/MP3 Input, Onboard Communications System, Remote Engine Start, Dual Zone A/C, WiFi Hotspot, Smart Device Integration, Brake Actuated Limited Slip Differential. MP3 Player, Steering Wheel Controls, Electronic Stability Control, Heated Mirrors, Bucket Seats. OPTION PACKAGES PREMIUM PACKAGE KEYLESS-GO, HANDS-FREE Comfort Package, Blind Spot Assist, Rear Cross Traffic Alert, SiriusXM Satellite Radio, 6-month all access plan trial, HANDS-FREE ACCESS, Electronic Trunk Closer, Power Folding Mirrors, Burmester Surround Sound System, HEATED FRONT SEATS, WHEELS: 18 MULTISPOKE W/BLACK ACCENTS, HEATED STEERING WHEEL Heating for Multifunction Steering Wheel. Mercedes-Benz C 300 with Lunar Blue Metallic exterior and Silk Beige MB-Tex interior features a 4 Cylinder Engine with 255 HP at 5800 RPM*. EXPERTS ARE SAYING While comfort and quiet are a priority, the C-Class is willing to hustle. In fact, the 2019 C-Class is respectably quick. In addition to being fleet, the C-Class is also remarkably stable and smooth. -KBB.com. Great Gas Mileage: 31 MPG Hwy. OUR OFFERINGS Mercedes-Benz of Omaha is a full service Mercedes-Benz dealership. We're part of the Baxter Auto Group, composed of 21 dealerships in Omaha and Lincoln, and Kansas City, Kan. Located off of 144th and L streets in Omaha, Neb. Horsepower calculations based on trim engine configuration. Fuel economy calculations based on original manufacturer data for trim engine configuration. Please confirm the accuracy of the included equipment by calling us prior to purchase. Sunroof, Heated Seats, iPod/MP3 Input, Back-Up Camera, Remote Engine Start, Onboard Communications System, HEAD-UP DISPLAY. FUEL EFFICIENT 31 MPG Hwy/22 MPG City! C 300 trim, Polar White exterior and Black MB-Tex interior CLICK ME! KEY FEATURES INCLUDE Sunroof, Panoramic Roof, Full-Time 4MATIC All-Wheel Drive, Back-Up Camera, Turbocharged, iPod/MP3 Input, Onboard Communications System, Aluminum Wheels, Remote Engine Start, Dual Zone A/C, Smart Device Integration, Brake Actuated Limited Slip Differential, WiFi Hotspot MP3 Player, Steering Wheel Controls, Heated Mirrors, Electronic Stability Control, Bucket Seats. OPTION PACKAGES PREMIUM PACKAGE KEYLESS-GO, HANDS-FREE Comfort Package, Blind Spot Assist, Rear Cross Traffic Alert, SiriusXM Satellite Radio, 6-month all access plan trial, HANDS-FREE ACCESS, Electronic Trunk Closer, Power Folding Mirrors, Burmester Surround Sound System, HEAD-UP DISPLAY, HEATED FRONT SEATS, REAR SPOILER, HEATED STEERING WHEEL Heating for Multifunction Steering Wheel. Mercedes-Benz C 300 with Polar White exterior and Black MB-Tex interior features a 4 Cylinder Engine with 255 HP at 5800 RPM*. EXPERTS CONCLUDE Great Gas Mileage: 31 MPG Hwy. WHO WE ARE Mercedes-Benz of Omaha is a full service Mercedes-Benz dealership. We're part of the Baxter Auto Group, composed of 21 dealerships in Omaha and Lincoln, and Kansas City, Kan. Located off of 144th and L streets in Omaha, Neb. our showroom features the complete lineup of new Mercedes-Benz models and a selection of used and pre-owned vehicles. Call (844) 308-7331. Horsepower calculations based on trim engine configuration. Fuel economy calculations based on original manufacturer data for trim engine configuration. Please confirm the accuracy of the included equipment by calling us prior to purchase. NAV, Sunroof, Heated Seats, Back-Up Camera, Panoramic Roof, Onboard Communications System, iPod/MP3 Input, AMG LINE, HEATED STEERING WHEEL. EPA 31 MPG Hwy/22 MPG City! Black exterior and Black MB-Tex interior, C 300 trim CLICK ME! KEY FEATURES INCLUDE Sunroof, Panoramic Roof, Full-Time 4MATIC All-Wheel Drive, Back-Up Camera, Turbocharged, iPod/MP3 Input, Onboard Communications System, Aluminum Wheels, Remote Engine Start, Dual Zone A/C, Smart Device Integration, WiFi Hotspot, Brake Actuated Limited Slip Differential. MP3 Player, Steering Wheel Controls, Heated Mirrors, Electronic Stability Control, Bucket Seats. OPTION PACKAGES AMG LINE Mercedes-Benz lettered brake calipers, AMG Body Styling, AMG Line Exterior, AMG Floor Mats, Flat-Bottom Steering Wheel, AMG Line Interior, Aluminum Pedals, Sport Suspension, Black Fabric Headliner, Diamond Grille in Chrome, Front Brakes w/Perforated Discs, PREMIUM PACKAGE KEYLESS-GO, HANDS-FREE Comfort Package, Blind Spot Assist, Rear Cross Traffic Alert, SiriusXM Satellite Radio, 6-month all access plan trial, HANDS-FREE ACCESS, Electronic Trunk Closer, Power Folding Mirrors, Burmester Surround Sound System, MB ENTRY NAVIGATION, HEATED FRONT SEATS, REAR SPOILER, HEATED STEERING WHEEL Heating for Multifunction Steering Wheel. Mercedes-Benz C 300 with Black exterior and Black MB-Tex interior features a 4 Cylinder Engine with 255 HP at 5800 RPM*. EXPERTS CONCLUDE Great Gas Mileage: 31 MPG Hwy. WHO WE ARE Mercedes-Benz of Omaha is a full service Mercedes-Benz dealership. We're part of the Baxter Auto Group, composed of 21 dealerships in Omaha and Lincoln, and Kansas City, Kan. Located off of 144th and L streets in Omaha, Neb. Horsepower calculations based on trim engine configuration. Fuel economy calculations based on original manufacturer data for trim engine configuration. Please confirm the accuracy of the included equipment by calling us prior to purchase. 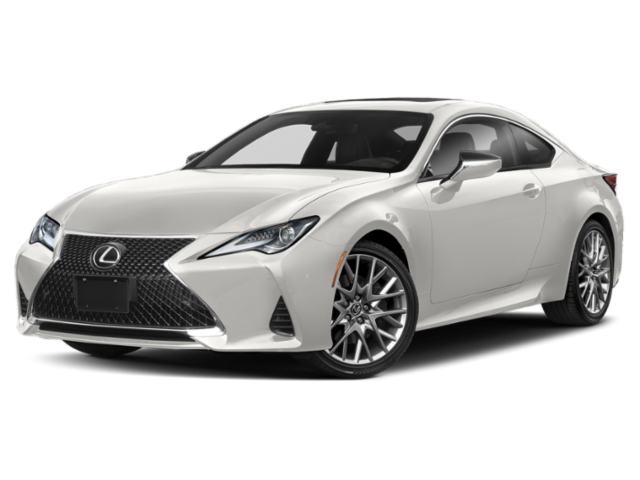 White Pearl 2019 Lexus RC 350 AWD 6-Speed Automatic 3.5L V6 DOHC 24V Quoted price subject to change without notice to correct errors or omissions. Tax, Tag, registration fees not included. Advertised price includes Delivery and Handling fee. Visit Lexus of Colorado Springs for details. Accessories, options, and color may vary. Although we make every effort to post accurate information, Equipment listed is not guaranteed. All prices, specifications and availability subject to change without notice. Used vehicles may be subject to unrepaired manufacturer recalls. Please contact the Manufacturer or a Dealer for that line make, for recall assistance questions, or check the national Highway traffic safety administration website for current recall information before purchasing. 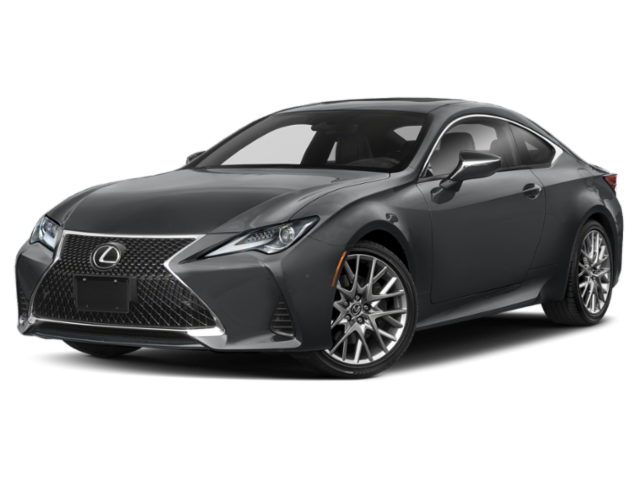 Gray Pearl 2019 Lexus RC 350 F Sport AWD 6-Speed Automatic 3.5L V6 DOHC 24V Quoted price subject to change without notice to correct errors or omissions. Tax, Tag, registration fees not included. Advertised price includes Delivery and Handling fee. Visit Lexus of Colorado Springs for details. Accessories, options, and color may vary. Although we make every effort to post accurate information, Equipment listed is not guaranteed. All prices, specifications and availability subject to change without notice. Used vehicles may be subject to unrepaired manufacturer recalls. Please contact the Manufacturer or a Dealer for that line make, for recall assistance questions, or check the national Highway traffic safety administration website for current recall information before purchasing. Atomic 2019 Lexus RC AWD 6-Speed Automatic 3.5L V6 DOHC 24V Quoted price subject to change without notice to correct errors or omissions. Tax, Tag, registration fees not included. Advertised price includes Delivery and Handling fee. Visit Lexus of Colorado Springs for details. Accessories, options, and color may vary. Although we make every effort to post accurate information, Equipment listed is not guaranteed. All prices, specifications and availability subject to change without notice. Used vehicles may be subject to unrepaired manufacturer recalls. Please contact the Manufacturer or a Dealer for that line make, for recall assistance questions, or check the national Highway traffic safety administration website for current recall information before purchasing. Heated Seats, Entertainment System, Nav System, Moonroof, Power Liftgate, Onboard Communications System, ROOF SPOILER. FUEL EFFICIENT 27 MPG Hwy/21 MPG City! Obsidian Black Metallic exterior and Black MB-Tex interior, GLC 300 trim SEE MORE! KEY FEATURES INCLUDE Panoramic Roof, Full-Time 4MATIC All-Wheel Drive, Power Liftgate, Heated Driver Seat, Turbocharged, Onboard Communications System, Dual Moonroof, Dual Zone A/C, Smart Device Integration, Heated Seats. Privacy Glass, Child Safety Locks, Steering Wheel Controls, Electronic Stability Control, Heated Mirrors. OPTION PACKAGES AMG LINE flat-bottom steering wheel, front brakes w/perforated discs and Mercedes-Benz lettered calipers and brushed aluminum pedals w/rubber studs, AMG Bodystyling, AMG Line Exterior, AMG Floor Mats, AMG Line Interior, 3-spoke Multifunction sports steering wheel in black leather, w/flattened bottom section, brushed stainless steel AMG sport pedals w/black rubber studs and AMG black floor mats w/AMG lettering, MULTIMEDIA PACKAGE Radio: COMAND System w/Navigation, 8.4 high resolution LCD screen w/3D map views, enhanced voice control system, 10GB music register, single disc CD/DVD player, Gracenote album information including cover art, SD card slot, SiriusXM traffic and SiriusXM weather w/3-year subscription, COMAND Single CD/DVD, Touchpad, Navigation Map Updates For 3 Years, DVD Coding, PARKING ASSIST PACKAGE HANDS-FREE Comfort Package, Parking Package, Surround View Camera System, HANDS-FREE ACCESS, PARKTRONIC w/Active Parking Assist, HEAD-UP DISPLAY, BURMESTER SURROUND SOUND SYSTEM, PREMIUM PACKAGE KEYLESS-GO, SiriusXM Satellite Radio, free trial period, HEATED REAR SEATS, BLIND SPOT ASSIST, ROOF SPOILER, HEATED STEERING WHEEL Horsepower calculations based on trim engine configuration. Fuel economy calculations based on original manufacturer data for trim engine configuration. Please confirm the accuracy of the included equipment by calling us prior to purchase.